I decided to introduce this neat meme here as well at my more mature blog. Amazon puts a lot of amazing books at discounted or free prices for a limited time. You could go through pages and pages to find something that you thought interested you, or you could do what I do and just subscribe to that neat little website, Pixel of Ink-Young Edition. They do all the hard work for you and it's free. You can like them on Facebook and they will update throughout the week (and sometimes the day) of free books that are offered at Amazon. The only think is you need to have a Kindle or Kindle reading apps to take part in these deals. I read this to all four of my boys, ages 8 to 3 years old, and everyone(including myself) laughed our heads off. It is a fun rhyming silly story that no matter what your age, you can't help but smile at. It is written as a "Do and Don't " way, explaining us things we should do and things we should most definitely not do. 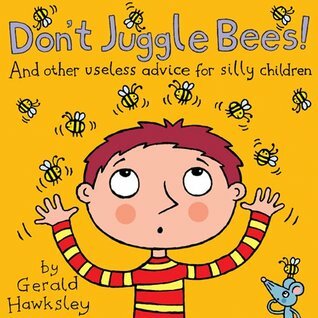 So if you want to just have some fun and just laugh with your kids then this is the book you need to get. After much consideration, the boys and I have decided to give this 5 smiley faces! We decided to do a Wish List Wednesday because we have some birthdays coming up (Anthony, Conner, and Jace) and our favorite thing to get is books! Even the cover "screams" fun! I cannot wait till I can get my mom and dad to get this for me! I will probably read it in a day too! This is a really fun series about four kids who think different people are monsters and they have to figure out if these people really are what they seem to be. Michael: I really love SpongeBob Squarepants! Did you know they have SpongeBob books? Yep, sure do! That's what I have been waiting for-more SpongeBob books. I seen this episode on T.V. and I laughed so hard I almost split my own pants! I would love to have it in book form so I can take it anywhere with me. Jacey: My favorite show of all time is Team Umizoomi. I get to learn to count and my shapes when I watch Geo, Bot, and Milli. Now they are in books too! I can't wait until my birthday because I know my Daddy and Mommy will get me some Team Umizoomi Books! So that's it for our Wish List Wednesday! Have a great week! The cover is very cool, especially because I love skeletons. You can tell someone put a lot of work in making the design of the covers work with the clues in the book. Another really awesome thing about the series is it is a game as well. You get these trading cards inside the front part of the book that has different clues on them. I haven't went to the website and signed up yet to play the game but I am really looking forward to doing that. I liked this story a lot! The main characters, Amy and Dan Cahill, are pretty cool. I liked that the names because my mom and Papa have those exact names too. I could relate to a little bit of what the brother/sister team had to go through. I love solving mysteries and there is a lot of that in this story. 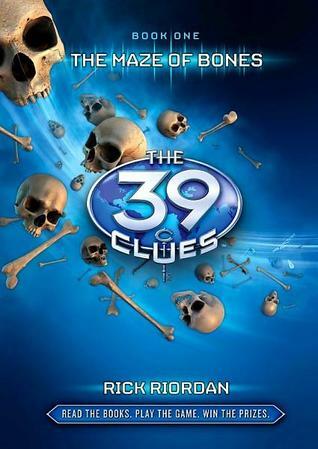 I got to read about different weapons, secret passageways, and of course, skeletons! There is a few people that are always trying to get in Amy and Dan's way, and this got to be irritating to me. Other than that, I have to say I really loved this book! The fact that it is also a game, makes it even more exciting. I cannot wait to go online and get started on my own adventure! I give this book 5 smiley faces!